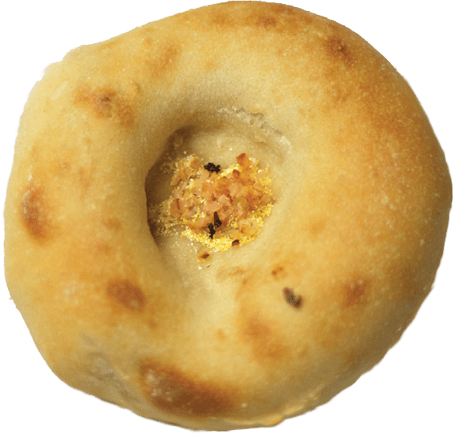 A fresh Bialy is similar to a plain bagel, except that it is only baked, not boiled. This creates a flatter bread offering, with the bialys’ famous depression in the center (as opposed to a hole), which New Yorker Bagels bakers fill with flavorful garlic and onion. This traditional Jewish bread is indeed a New York tradition, and many customers cannot start their day without one!